Ritonavir may interact with many different types of medicines, in some cases causing severe (sometimes fatal) reactions. Consult your doctor or pharmacist about which medications should not be taken with ritonavir. (See also Drug Interactions section. Who should not take Ritonavir Capsule? Read the Patient Information Leaflet provided by your pharmacist before you start taking ritonavir and each time you get a refill. If you have any questions, consult your doctor or pharmacist. Take this medication by mouth with food as directed by your doctor, usually 1 to 2 times daily. Take ritonavir at the same time(s) as your other HIV protease inhibitor. Swallow the tablet form of this medication whole. Do not crush, chew, or break the tablets. The dosage is based on your weight, liver function, medical condition, other medications, and response to treatment. The tablet and capsule forms of this medication may deliver different amounts of medication. Do not switch between the tablet and capsule forms without your doctor's permission and directions. What conditions does Ritonavir Capsule treat? Diarrhea, nausea, vomiting, heartburn, stomach pain, loss of appetite, headache, dizziness, tiredness, weakness, changes in taste, or tingling/numbness of mouth area may occur. If any of these effects persist or worsen, tell your doctor or pharmacist promptly. Tell your doctor right away if you have any serious side effects, including: persistent nausea/vomiting, stomach/abdominal pain, dark urine, yellowing eyes/skin, mental/mood changes (such as depression, anxiety), increased urination (especially at night), increased thirst. Get medical help right away if you have any very serious side effects, including: symptoms of a heart attack (such as chest/jaw/left arm pain, shortness of breath, unusual sweating), easy bruising/bleeding, fainting, fast/irregular heartbeat. List Ritonavir Capsule side effects by likelihood and severity. Before using this medication, tell your doctor or pharmacist your medical history, especially of: diabetes, heart problems (coronary artery disease, heart attack), hemophilia, high cholesterol/triglycerides, liver problems (such as hepatitis B, hepatitis C), pancreatitis. What should I know regarding pregnancy, nursing and administering Ritonavir Capsule to children or the elderly? Ritonavir interacts with many medications. Some products that may interact with this drug include: cobicistat, disulfiram, orlistat. Ritonavir can slow down or speed up the removal of other medications from your body, which may affect how they work. Examples of affected drugs include alfuzosin, antiarrhythmics (such as amiodarone, flecainide, propafenone, quinidine), azole antifungals (such as voriconazole), certain benzodiazepines (midazolam, triazolam), certain "blood thinners" (such as rivaroxaban, warfarin), cisapride, eletriptan, drugs to treat erectile dysfunction-ED or pulmonary hypertension (such as avanafil, sildenafil), ergot alkaloids (such as dihydroergotamine, ergonovine, ergotamine, methylergonovine), lurasidone, certain narcotic pain medications (such as fentanyl, meperidine), pimozide, ranolazine, salmeterol, simeprevir, "statin" cholesterol drugs (such as simvastatin, lovastatin), among others. Laboratory and/or medical tests (such as liver tests, viral load, T-cell counts, triglycerides/cholesterol, blood sugar) should be performed periodically to monitor your progress or check for side effects. Consult your doctor for more details. Store the capsule form of this medication in the refrigerator away from light. Do not freeze. The capsules may also be stored at room temperature. If stored at room temperature, use within 30 days. Store the tablet form of this medication at room temperature away from light and moisture. 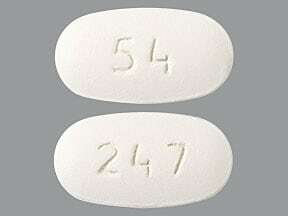 This medicine is a white, oval, film-coated, tablet imprinted with "54" and "247". 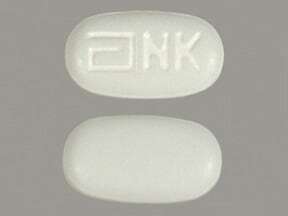 This medicine is a white, oval, film-coated, tablet imprinted with "logo and NK". Are you taking Ritonavir Capsule? Are you considering switching to Ritonavir Capsule? How long have you been taking Ritonavir Capsule?